A fantastic item for the Back To School season and beyond. 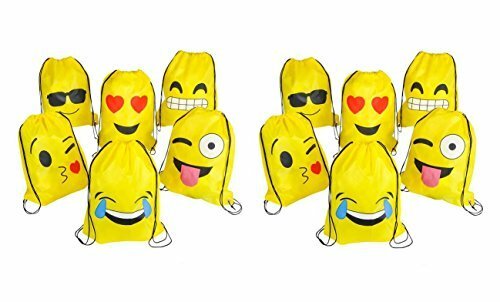 This collection of drawstring backpacks features a variety of emoticon prints. An emoticon is a symbol of emotion designed to ascribe tone and tenor to a text or a social media post. For ages 5+. A fantastic item for the Back To School season and beyond. Features a variety of emoticon prints.